Hundreds of people from Afrin are held in the Rai prison in Azaz where they are subjected to inhuman torture. 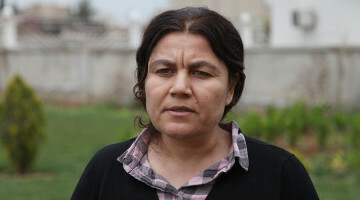 A civilian from Afrin, Xelil Mihemmed, spoke about the horrors of the Turkish state and their allied gangs. After the invasion attacks against Afrin by the Turkish state and their allied Al Nusra, ISIS and FSA gangs, the people of Afrin withdrew to Sherawa and Shehba regions to prevent civilian massacres in a joint decision by the Afrin Autonomous Administration and YPG Command. But, dozens of people from Afrin who didn’t want to leave their homes and villages despite the massacres, looting and annihilation attacks by the Turkish state and their allied gangs stayed in their lands. The Turkish state and their allied gangs have looted the property of the people, tortured hundreds of civilians and took hundreds of others hostage in Afrin. 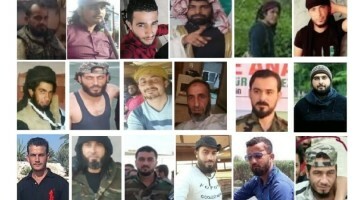 The hundreds of captive civilians from Afrin are still in prisons in Afrin, Azaz and Hatay. Dozens of people are still unaccounted for. Bekir Xelil Mihemmed is one of the civilians who remained in his village in Afrin after the invasion attacks by the Turkish state and their allied gangs. The Turkish state and their allied gangs captured him when they invaded the Balya village in Bilbile. 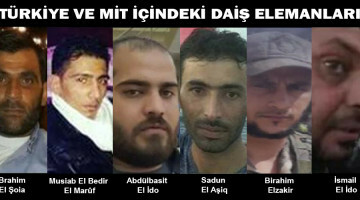 Xelil Mihemmed was held captive for 16 days by the gangs in the village, and was then taken to the Rai prison in Azaz. 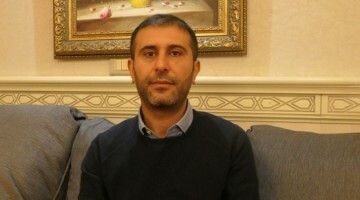 Speaking to ANF, Xelil Mihemmed said hundreds of people are held in the Rai prison, and are tortured every day. “When they attacked us, I didn’t leave my village. Because I’m an old man, I’m 70 years old and have a bad leg. That is why I didn’t leave. They came and captured us. They tortured us, beat us and took us away. 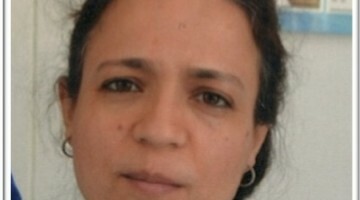 They held me hostage in the village for 16 days, then took me to the big prison in Azaz (the Rai prison). I couldn’t describe the torture I endured there. They hit me in my face, they broke my teeth, my jaw was broken, I am deaf now. They whipped me 200 times. Forget about me, but there are children, 12-13 years old, they have been tortured. They were electrocuted. The gurbets (nomadic peoples in Afrin) are constantly tortured. They aren’t even Kurdish, why are they treated this way? I heard they had boiling water thrown at them. But what I saw with my own eyes was this: There was a boy who couldn’t spread his fingers. He was burned, and couldn’t move his fingers. Again, there are old people, around 80 years old. They are being tortured, they are thrown human feces. There are children, there are civilians who have nothing to do with anything military, who are constantly tortured. “I was there for 67 days. They released me, but that gurbet is still there. I was under arrest for 83 days in total. Then they released us. They put 31 people in one truck. It was packed. They pushed us all into that one truck. We were so sweaty that our clothes were dripping wet. They took us to open land and left us. They didn’t turn us over to the FSA directly. They said, ‘Walk through the field, so FSA won’t shoot you’. Why would the FSA shoot us? We were straight out of prison, and we have records to show. But their goal was something else. They wanted to kill us in the field. The FSA cut us off and searched each one of us. We said we were coming from the prison, we had nothing on us. We were all freezing. And the FSA told us to go through the field. Their goal was to detonate landmines as we passed. All the decisions made there and everything is controlled by the Turkish state. The FSA has nothing. They just do Arabic and Kurdish translations. Other than that, everything is controlled by the Turkish state. If somebody’s going to be arrested or tortured, it is the Turkish state that decides everything. The Turkish state tells them to go and do this and this, then they go and do it. There is no bounds to the suffering they inflict on the people. They can’t be Muslims. There is 5% Kurds in Afrin now. They are mostly gangs. These people are all thieves. They have stolen whatever property the people had. They looted the people’s homes, they took their business, their cars, their property. I saw all these with my own eyes.